Federal Reserve Chair Janet Yellen "felt fine" after a brief health scare Thursday evening. "Yellen felt dehydrated at the end of a long speech under bright lights," a Fed spokesperson said. "As a precaution, she was seen by EMT staff on-site at U-Mass Amherst. She felt fine afterward and has continued with her schedule Thursday evening." She was at the University of Massachusetts giving a speech on inflation and monetary policy. Yellen looked faint and took uncharacteristic pauses before abruptly ending her speech. Reports that she was being treated, however, were quickly followed by news that Yellen was in good health. On Friday morning, Yellen joked, "I look good now, don't I?" according to a Bloomberg report. Yellen is often called the most powerful woman in the world. As the head of the U.S. banking system, her words carry massive weight and the potential to influence global financial markets. 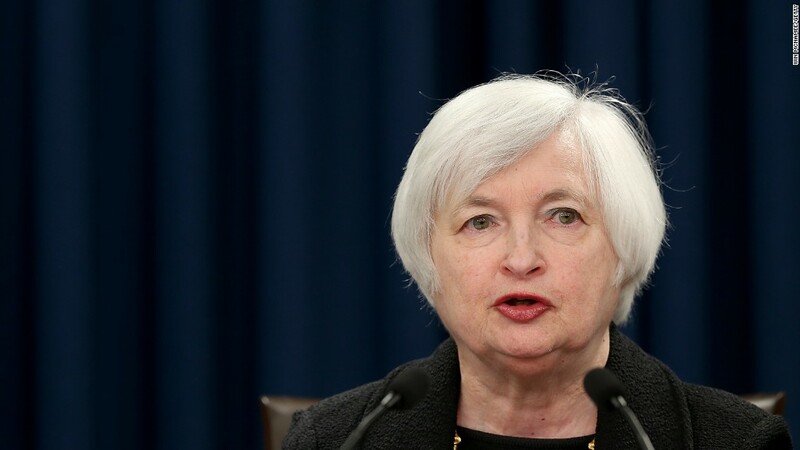 In recent months, her speeches have been analyzed for hints about when the Fed will raise interest rates for the first time since the recession. Many expected that to happen last week, but concerns about volatility in foreign markets caused the Fed to hold off. Yellen defended that decision during her speech at UMass.